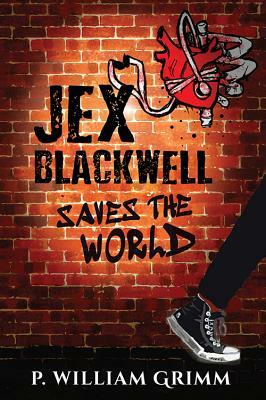 Jex Blackwell Saves the World is a Dadaesque homage to Donald Sobol's Encyclopedia Brown series, or perhaps a Sobolesque homage to the Dada movement. The main character is a sixteen-year old punk with a secret genius for medicine and an equal passion for music; but life in her native Los Angeles home - filled with dark, gritty city streets and strange, sometimes desperate characters - is not easy. Emancipated from her abusive parents at fourteen and graduating high school early the following year, Jex lives alone and can't quite convince herself to go to college. Instead, she spends her days quietly tending to her job as a librarian's assistant, and her nights tagging walls and running from cops. In between, she uses her photographic memory and encyclopedic knowledge of medicine to help ease the pain of the disenfranchised dwellers of L.A.'s dark nights, daring to venture where even some trauma doctors fear to go. Trying to cope as a not-quite-adult in a massively adult world, Jex may not be able to save herself, but she is determined to at least save the world.